Donald Trump Jr. will speak with the Senate Judiciary Committee on Thursday, the Washington Post reports. The closed-door meeting will cover allegations that the Trump campaign colluded with Russia during the 2016 presidential election. 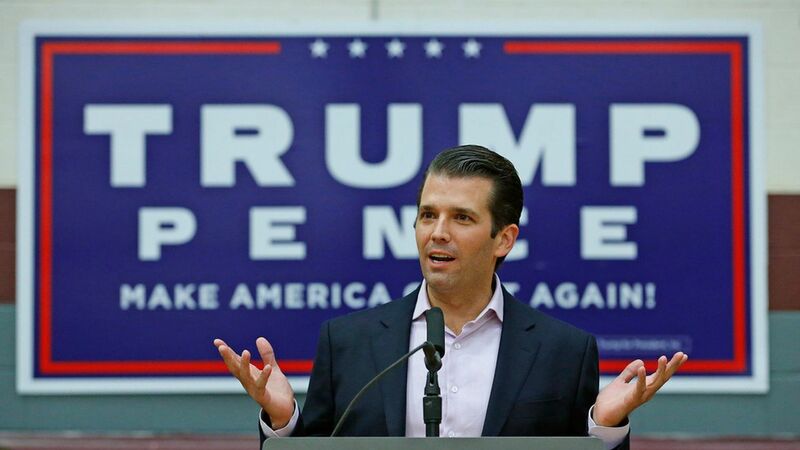 Update: Sen. Dianne Feinstein, ranking member of the Senate Judiciary Committee, says Trump Jr. will also be subpoenaed, if necessary, to compel him to appear at a public hearing, according to CNN's Manu Raju. Why it matters: He's the first member of the Trump campaign who attended the June 2016 Trump Tower meeting that included Jared Kushner, Paul Manafort and Russian nationals to appear before the Senate Judiciary Committee. Chairman of the Senate Intelligence Committee, Sen. Richard Burr, told the Post his committee will inevitably speak to Trump Jr., but suggested the conversation may not yield significant findings, saying, "Tell me what value there is to that one, I'll entertain it."